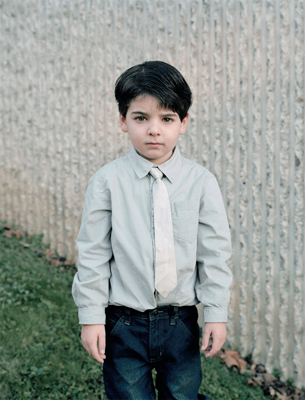 The series Made of Stone presents a disquieting vision of childhood by profiling beings who, despite their young age, appear concerned, serious and accusatory. They look upon the past and the future – and upon us- with equal gravity. They are already adults, bearing life’s burdens in an atmosphere that weighs on us. One may ask: are these children merely performing for the camera or has the photographer managed to catch a glimpse of their uncertain future?